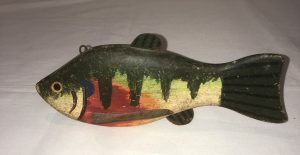 A very nice extra large Sun Fish ice fishing decoy 8 3/4″ long. Very colorful. 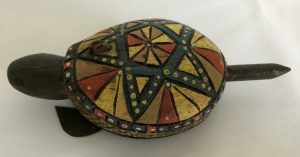 A wonderful and almost jewel like carved and painted Turtle Spearing Decoy, 5 1/8″ long with 4 dangling tin feet to add to its attraction. 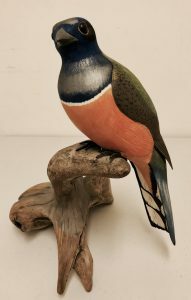 The carving and paint details are exceptional. A rare example in excellent original condition. From an Oklahoma Collection. 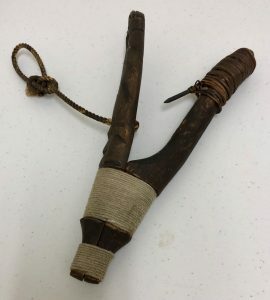 Northwest coast Native American Halibut Hook, 10″ long. Nicely carved “totem” decorations and original lift line. 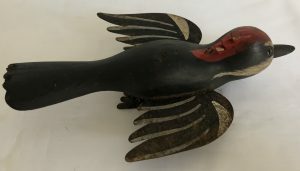 Probably Tlingit or Haida. C.later 19th C. Cord wrapping has been restored with 19th C. cord. A large carved ceremonial mask from Zaire. The personal carved smoking pipe of W. H. Gilliland of Ripley, Ohio, born April 19, 1844. 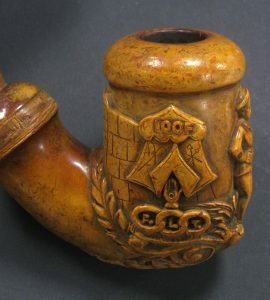 Gilliland was an Oddfellow member and his pipe is profusely carved with Oddfellow icons. 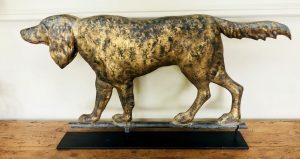 The pipe is extra large measuring 2 3 1/2″ from top to base and 4 1/4″ from front to back It was likely carved in the Civial War era and has similarities with other Civil War pipes.